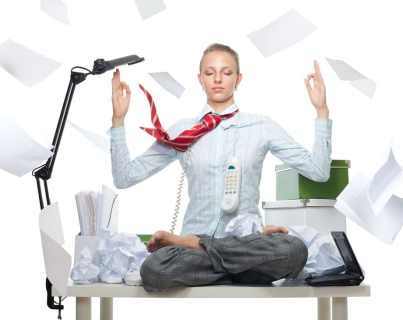 Home » Blog » Feel Like Your Procurement Team Operates in Chaos Mode? You Are Not Alone. Feel Like Your Procurement Team Operates in Chaos Mode? You Are Not Alone. Do you feel like your procurement team is always in chaos mode? Does it seem like everything is done at the deadline or just past it? Based on conversations I have had with sourcing professionals in the last 6 months, you are not alone if you feel this way. Efficiency in the sourcing process and controlling contracts are the most common reasons people ask me for help. Many companies have grown dynamically and are profitable, but they could be generating much bigger profits and crushing the competition with better sourcing systems. How much better would your life be if you could dramatically improve these areas? The answer is obvious, and it is possible to get gains in these areas in 90 days or less. Let me share just a few benefits that can be realized for each area with the right sourcing platform. Communication – How many hours have you wasted researching an email trail? How often have you been frustrated by suppliers or stakeholders that backdoor the process? How many times have you heard the excuse “I didn’t get the email?” How many hours a day do you spend calling or chasing suppliers and stakeholders who haven’t responded as requested? When all emails and documents flow through the tool, you have one version of the truth. Automated reminders keep most people on track. Some folks will never be on time. Project status is at your fingertips. Visibility – How many times have you received a call from a stakeholder wondering about their request? How often has your boss inquired about the status of a project at 4 PM on a Friday afternoon? How much time does it take to generate status reports on multiple projects? Automated and ad hoc reporting can be set up or created in minutes eliminating the emails and requests. This can easily be customized to fit each recipient’s needs. Knowledge Retention and Transfer – Have you ever called someone who created a spreadsheet to ask a question about it and they can’t remember what they did? How often have you found errors in spreadsheets that have been used multiple times? Sourcing tools eliminate the problem of critical knowledge disappearing when people leave the company, are transferred or promoted due to a lack of documentation. Layouts are easier to understand and manage and you can do whatever you could in a spreadsheet because the analysis and creation capabilities are built in. Speed to Market – Do you start from scratch on almost all projects? Do you live with past shortcomings because changing the process will take too long? Can you create an express RFP for repetitive purchases? Sourcing tools are available that allow rapid creation of new events that can save 80% of the time ordinarily used to develop the same event from scratch. Access to all past events across the enterprise grows the knowledge base. This makes best practices common, not the exception. Simplified processes for repetitive or low dollar buys borrows a page from the entrepreneurial days when getting something done was easy. These enhancements in your system will drive your competitive advantage. When your suppliers realize you are using a sophisticated sourcing tool they will step up their game if they want to keep your business. You can build your case in days not months. A flexible platform will make your life easier and much more productive. Action Step: Finding the right system for your needs can seem like a challenging process but it doesn’t have to be. If you are uncertain where to start a procurement professional like myself can provide guidance and expertise to help your organization achieve the results you need. Think about it and then take the next step.